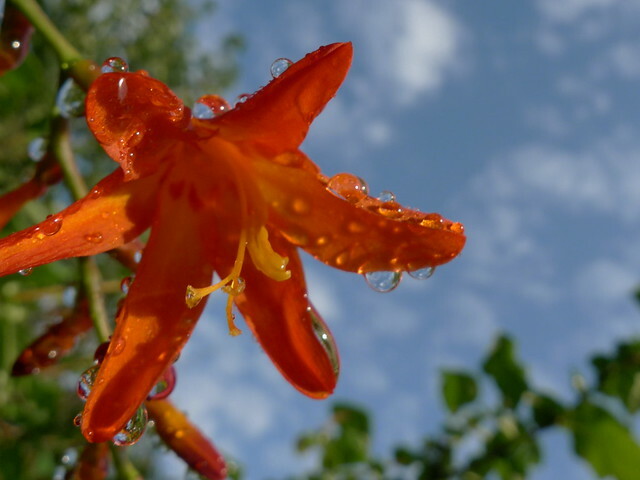 The beautiful Montbretia flower photo shown here is our 6 billionth photo! It was uploaded Monday by eon60. Over the last 5 years uploads have been increasing 20% year-over-year and we love hitting a milestone like this. It’s the ability to wander through the titles, tags, geotags, camera info, groups, comments, favs, and everything else associated with the photos that make the huge collection of photos on Flickr so unique. The more photos you upload, the more we all can explore! I have been posting to Flickr for about four years. I use two cameras a Nikon D70 and a Panasonic LX3 and have been taking photographs as a hobby for about 40 years. As you can see from my postings there is no one thing I like to photograph, anything goes. I also enjoy looking at other peoples efforts on Flickr, some are stunning. The photograph is of a Crocosmia ( Montbretia ) taken in my garden, in some parts of the world they are treated as weeds as they are very invasive, but I like them for the colour and shape.